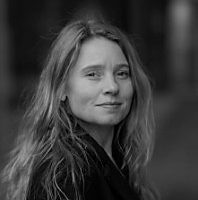 Angela Wigger teaches political economy and international relations at Radboud University in Nijmegen and is a board member of the Critical Political Economy Research Network (CPERN) and the Centre for Research on Multinational Corporations (SOMO). “Marx is often judged on what he did not know, but we need to look at what he has to offer. He was an economist, sociologist, political scientist, historian, philosopher and philosopher of science. He was truly an omnipotent genius and remains relevant to a huge number of issues,” according to political economist Angela Wigger.